A 17-year-old girl charged in connection with the brutal assault and murder of a 15-year-old girl will be tried as an adult, prosecutors announced Thursday. Venus Romero Iraheta is accused of being the chief attacker of Damaris Alexandra Reyes Rivas, stabbing her 13 times.Iraheta is one of 10 suspects charged in Reyes Rivas' death. The mothers of both teens were in court Thursday, as officials described the moment Iraheta told Reyes Rivas' "she would see her in hell." Reyes Rivas' mother bowed her head as the attack was described, wiping away tears. 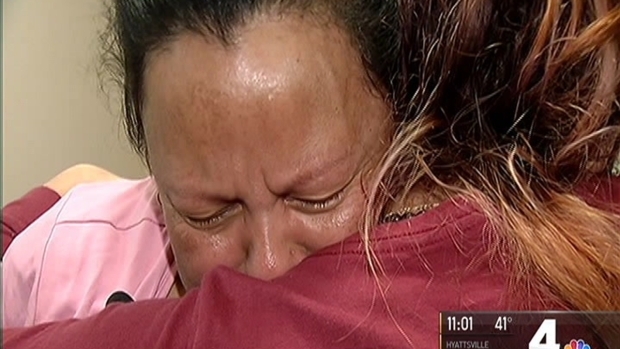 Iraheta's mother broke into tears when prosecutors announced she would be tried as an adult. Reyes Rivas left her home in Gaithersburg, Maryland, Dec. 10, 2016. 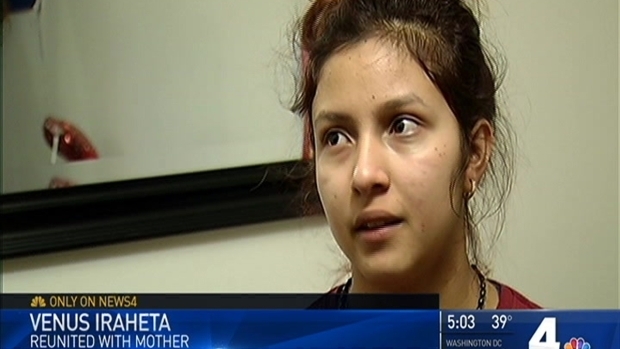 She told her mother she was being threatened by gang members at school. In court Thursday, authorities revealed that Reyes Rivas was picked up in a car and taken to Lake Accotink in Springfield, Virginia, on Jan. 8. The group assaulted her and made her stand in snow without her shirt or shoes. They then interrogated her about the recent murder of Christian Sosa Rivas, whose body was found Jan. 12 along the Potomac River in Dumfries, Virginia, police said. Sosa Rivas was Iraheta's boyfriend. Prince William County court documents suggest that Reyes may have been blamed for helping to lure Sosa Rivas to his killers. The suspects then took Reyes Rivas beneath the Interstate 495 overpass, where they again made her stand in frigid water, a detective testified Thursday. According to police, they wanted her to experience the same pain Sosa Rivas suffered. Iraheta told police she stabbed Reyes Rivas 13 times in the stomach and neck. She also sliced off a tattoo Reyes Rivas had. Exclusive video of a tearful reunion after a missing 17-year-old from Fairfax County returned home safe. News4’s Derrick Ward was there. "She told her she would never forgive her and told her she would see her in hell," Uribe testified. 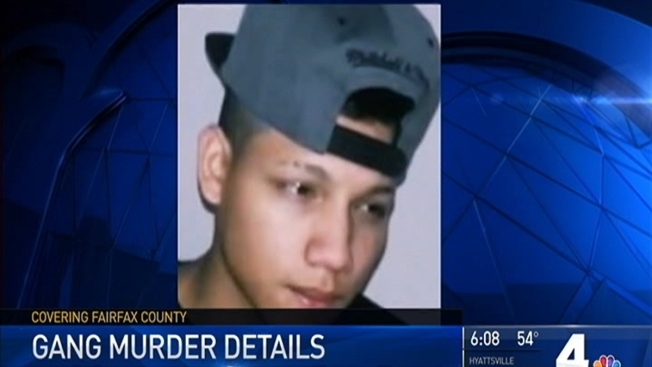 Fairfax County police found Reyes Rivas' body in February near an industrial park in Fairfax County. Several days after Reyes Rivas' death, Iraheta left her home in the Alexandria section of the county after she received threats from gang members, police said. She returned nearly a month later and was quickly taken into police custody for her alleged connection to Reyes Rivas' death. Reyes' devastated mother spoke to News4 about her daughter a few days after her body was found. "My daughter was a good person -- not because she was my daughter, but because she was truly good, sweet. She got along with everybody," her mother said in Spanish, asking that News4 withhold her name for her safety. "She was a little girl. Barely 15." A 17-year-old girl who disappeared from her Fairfax County home nearly a month ago came back home Tuesday night. Reyes Rivas' mother was escorted from court under the protection of deputies. Several of the young men charged in Reyes Rivas' death also had preliminary hearings Thursday. In each case, a judge found probable cause to send the cases before grand juries. Jose Castillo Rivas, 18, appeared in court. His defense attorney said he drove the group of young people on the night Reyes Rivas was killed because gang members threatened him and his baby. He told investigators he had been "green lighted," meaning if he didn't help, he would be killed. Several of the young men charged in Reyes Rivas' death also had preliminary hearings Thursday. In each case, a judge found probable cause to send the cases before grand juries.